If you had access to a state-of-the-art gym, would you use it every single day? If you’re anything like many of us, your honest answer is probably not. Sure, we might hop on the treadmill a few times a week. A majority of us are going to be spending the majority of our free time elsewhere. Your dog is the same. It’s a common misconception that giving your dog access to your backyard means they are getting all the exercise they need. Dogs require interaction to get moving. As a pet parent, you are your dog’s main motivator – to get fit and stay healthy – and if you do not have the time, we do. Dream Dogs offers private walking sessions in your neighborhood. 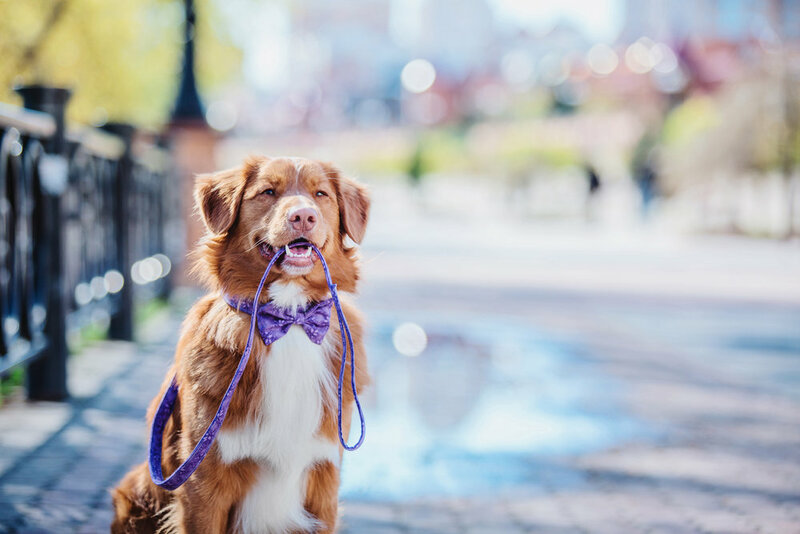 The dog walking services are based on what you feel your dog needs the most … just exercise OR an opportunity to work on basic skills in the hands of one of our professional trainers. Includes basic obedience and any behavior issues that are presented during a walk. Our non-training walks are primarily focused on just having fun and getting exercise that your dog needs. Requirement: All dogs must be current on vaccinations. Save $10 when you sign-up for 5 walking sessions! Contact Us about a Walking Schedule for your dog.